You'll need a laser cutter to do it right, but otherwise, these keyboard pants are easy enough to make yourself. 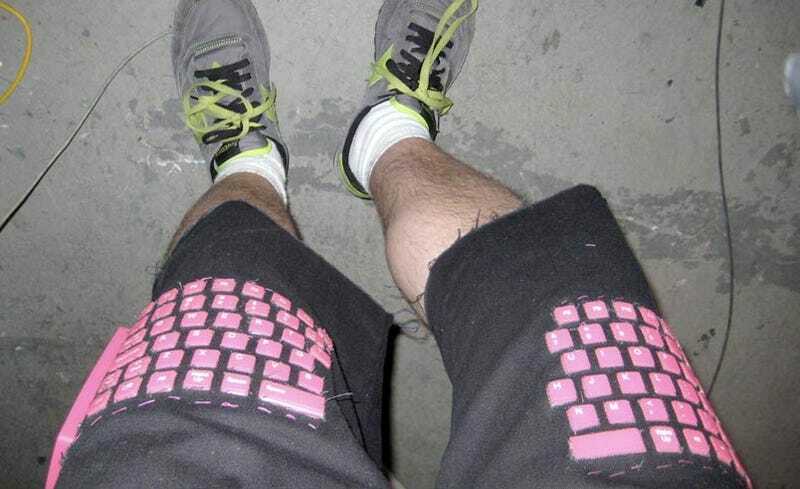 Inspired by this keyboard pants concept, modder Zach Hoeken scanned a silicone keyboard, programmed key holes to be laser-cut from the pant material and then sewed the keyboard directly into his jean shorts. Since he sliced the keyboard in half, only 50% of its keys are functional (through USB). But hey, YUIOP are overrated anyway.